All pregnant mothers are monitored a week before they are due to have their puppies and are inside our house so we can keep an eye on them as the puppies can be born early. During labour the pregnant mother is monitored with someone right beside her at all times while she is giving birth. 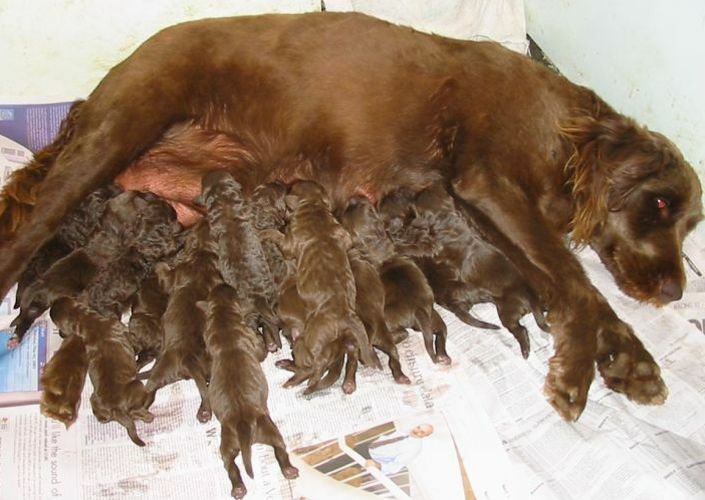 Each puppy is hand delivered and helped into the world. Once the puppies are all born we bottle feed them for the first few days every two hours to make sure they get enough milk and the best start in life. They also feed from their mother. The mother and new born puppies are still monitored closely inside our house to make sure everything is going well. They stay inside our house for 4-6 weeks and then they go into our puppy nursery. The puppies are desexed vet checked, vaccinated and micro chipped between 6-8 weeks of age depends on size. All our puppies are desexed between 8-12 weeks depending on size and are then ready for their new homes.